Limpopo is a land of legend and ruins that abounds in ancient forests, sparkling trout waters, mineral springs and waterfalls. 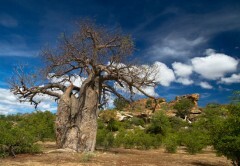 Much of Limpopo has remained unchanged for centuries, offering unlimited opportunities for the enjoyment of untamed Africa and a unique destination for your golfing safari. Click on the course you wish to visit on the Limpopo map or select from the full list below, to view additional information about the golf course and for listings of all lodges listed in the relevant area. Caddies are available at most golf courses. Exceptions are on cart-only golfing estates and at certain golf and housing estates. Golf carts are limited on many of the courses in Limpopo and prior booking is advised. Tourists staying in Limpopo to enjoy their favourite past time might want to take in some of the more popular attractions in the area. See the best of in Limpopo by staying in Hoedspruit, Phalaborwa, Tzaneen, Bela Bela, Polokwane, Waterberg. Limpopo offers a mosaic of superb scenic landscape, a fascinating cultural heritage, an abundance of wildlife species and many nature based tourism opportunities. Those in search of history will find many places of archaeological significance that yielded relics dating back millions of years. Find accommodation on or near (within 100 metres) one of Limpopo's prestigious golf courses and enjoy your favourite past time while on holiday in our beautiful country. 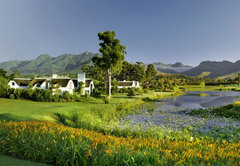 Accommodation ranges from comfortable to luxury and from self-catering to B&B or fully-catered. The Limpopo Province is wild and enigmatic. It boasts long stretches of untamed wildermness with thorn and Baobab trees, magical mountain ranges and is also home to the Big 5. 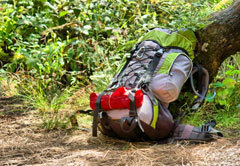 The Limpopo Province offers some of the most awesome wilderness hiking trails in the world.